An innovation sandbox has 3 key characteristics: focus, massive experimentation capacity and ultra- low cost of each additional experiment. 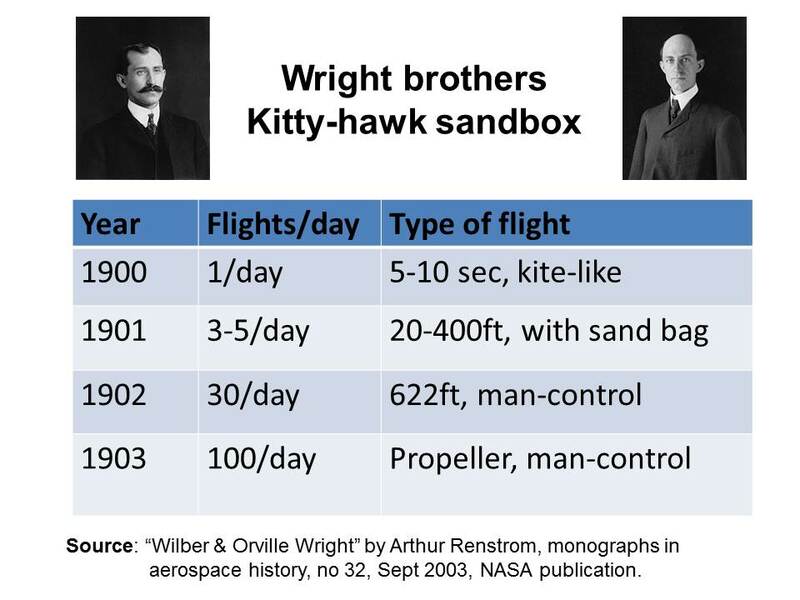 Wright brothers created two innovation sandboxes which were to play a significant role in their experimentation journey from 1900 to 1903 leading to their historic flight on Dec 17, 1903. What were these sandboxes? How did they build them? What role did they play in their success? Let’s explore these questions in this article. I will refer to the well-made documentary film "Wright brothers' flying machine" (embedded above) for you to see it visually. I have put the time in the film where the topic is discussed in brackets e.g. (11:18) meaning 11 minutes and 18 seconds. 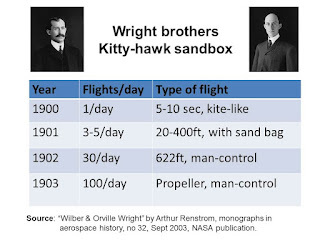 Sandbox-1: kitty-Hawk: Orville & Wilber Wright became serious about attempting to build the flying machine in 1899. They knew they were entering into a serious game where experimentation would last several years. In fact, one of the serious players in the game, Otto Lilienthal had died in a crash during his flying experiments in 1896 (11:18). Wright brothers did extensive study of available literature. They had to work out all the 3 key sub-problems: lift, thrust and stability. However, their approach stood out for their focus on stability (16:11). For the other two problems, they had good starting points e.g. the lift tables published by Lilienthal and the propellers used in ships. Wright brothers had to work within two serious constraints: shortage of money and ensuring safety. Following table shows how their experimentation capacity increased hundred-fold in the 4 years. Cost of each experiment was pretty low (29:55). Neither of the brothers suffered any injury due to a flight accident throughout these experiments. Their sandbox was literally in the sand dunes! Sandbox-2: Wind-tunnel: While Lilienthal’s lift tables were a good starting point; they turned out to be inaccurate (12:15). What to do? Do you build a variety of gliders to derive a more accurate table? That would have taken several years perhaps decades. 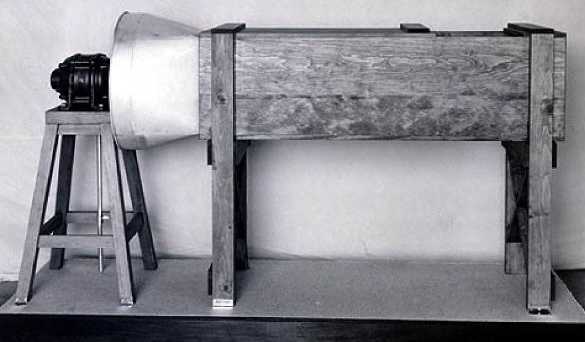 Instead Wright brothers built a wind-tunnel out of a wooden box in their Dayton workshop (13:15). It was 16 inches wide by 16 inches tall by 6 feet long. Their ingenuity was in designing an intricate aerodynamic measuring device using an old hacksaw blade and bicycle spoke wire. What could have taken years was achieved in three months period. During October to December 1901, Wright brothers re-generated lift and drag tables over 200 experiments. This helped solve the "lift" problem.